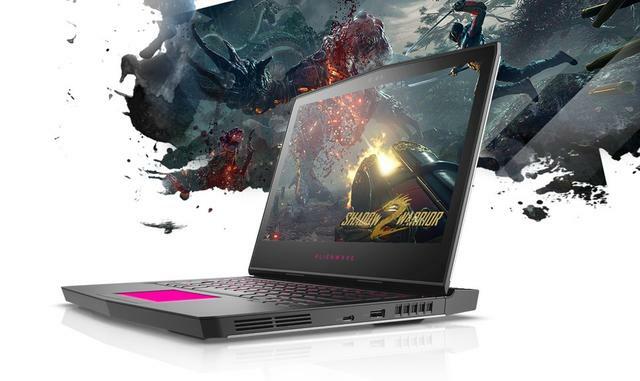 Dell has released the new Alienware claims is the world’s first 13 inches VR – ready notebook. For the brand Alienware 13 starting price is not high, but at $1200. This cost can let you get the Intel core i5-6300 hq processor, NVIDIA GeForce GTX 1060 graphics, 8 gb of memory DDR4-2133, 180 gb m. 2 SATA 6 GBPS solid-state drives, Killer 802.11 c wi-fi, bluetooth 4.1 and 10 64 – bit Windows system. Low version with Alienware adopted a resolution of 1366 x768 only TN screen, and only 200 nits brightness. If I spend 300 dollars to upgrade again, you can change the screen to 1920 x1080 resolution IPS panel, brightness can ascend to 300 nits. In addition, the device of RAM (16 gb) and hard disk (256 gb PCIe SSD) will also be upgraded. Alienware 13 top-of-the-line version contains two models, price is $1800/2100, respectively. Both models adopted the Intel core i7-6700 – hq processor, NVIDIA GTX 1060 graphics, 2560 x1440 OLED screen resolution (400 nits), but the RAM and hard disk capacity is different. The former DDR4-2400 equipped with 8 gb RAM and 256 gb PCIe SSD, and the latter on the basis of all doubled. The design of the new Alienware 13 also made models on the basis of the improvement. It is not only stronger performance, reduced weight and thickness, the top surface also adopted a higher degree of durable electroplating aluminum alloy material. Dell also to upgrade its TactX keyboard, joined the 2.2 mm key travel and RGB LED backlight. At the same time, the equipment of the cooling system has been improved, batteries from 51 wh upgraded to 76 wh. The new Alienware 13 is now in dell’s official store sale.